When it comes to spending time with our kids, it seems that no matter what technology emerges, parents always find their way back to what is tried and true: playing, creating, and reading. But, with time being of the essence more now than ever, it sure is nice when we can accomplish more than one objective with our kids at a time! Think of it like sneaking extra vegetables into spaghetti sauce or into a fruit smoothie – you’re still meeting a basic need (feeding your child), but you’re also getting in an added benefit. I like to do the same during family reading time. If you openly and forcefully try to shove lessons down your kids throat at every turn, they quickly tire of the attack and frequently rebel. What I prefer is to model the lessons I want my kids to learn or, better yet, utilize other trusted voices in their lives to present those lessons to them. Like these Tommy Nelson resources! I’ve compiled my 5 favorite Children’s Books with a lesson you can then build upon as a parent. 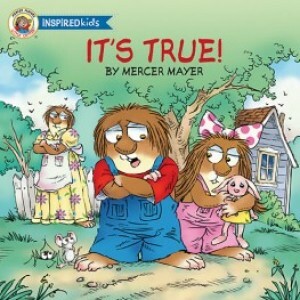 I love the Little Critter series of books for SO many reasons! Of course, I remember them from my own childhood, so it’s a delight to be able to share them with my own kids. Perhaps the reason these books have withstood the test of time is that they teach insightful lessons in such a lovable way through Little Critter himself. It’s True, You Go First, and the soon to be released We All Need Forgiveness would make a great addition to any family’s library. Has there ever been a truer message than this? 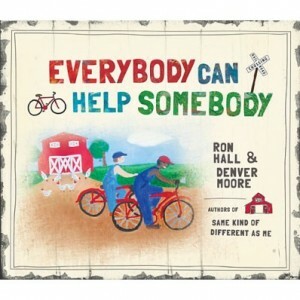 From authors and uncommon friends Ron Hall and Denver Moore (co-authors of the best-selling Same Kind of Different as Me), these men use the truths of their real life encounters to encourage children of all ages that no matter how old you are, everybody can help somebody. For every parent who has wondered how to help their children help others in a tangible way while also expressing gratitude for the everyday things in their lives, The Blessings Jar delivers help and hope. Not only will children delight in reading about Alexa Grace, but they will be inspired by what happens between this child and her grandmother once she discovers all of God’s blessings that surround her. It’s not easy being a guardian angel, but in this installment of Sheila Walsh’s series, Gabby sure is having a tough time watching over Sophie. 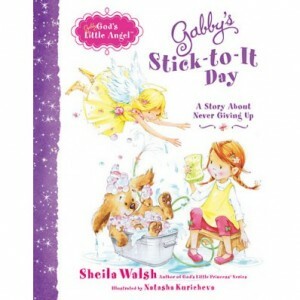 When Sophie wants to quit and give up yet again, it’s up to her guardian angel Gabby to help her stick with it! Parents will appreciate the delightful illustrations and charming message behind this pressing lesson that we all long to instill within our kids. Our favorite caterpillar is back! 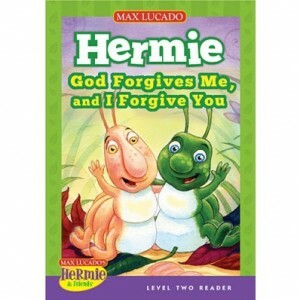 This time, Hermie learns that it’s not always easy to forgive. Not only must he ask for forgiveness, but also extend it to others. What I especially love about this book by Max Lucado is that it’s a Level 2 Reader, so it not only delivers a valuable lesson, but also builds confidence in those looking to boost their own reading skills! Now please hear me – just because someone else is presenting this material to your children through a book doesn’t mean the application can stop there. 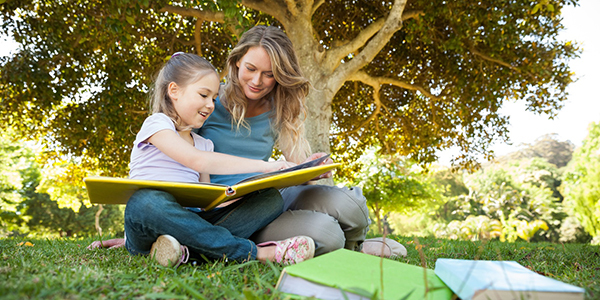 It’s up to us as parents to take the lessons of the pages of the book and put them into practice! What have been some of your favorite children’s books with a lesson? And what lesson did it ultimately teach your kids? I can’t wait to hear what you have to share! 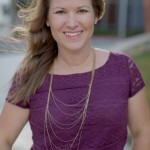 Sami Cone: Sami Cone, known as the “Frugal Mom” on Nashville’s top-rated talk show, “Talk of the Town” and as the “Savings Expert” on Fox 17 TN Mornings is a blogger, radio host & TV correspondent mentoring others to live their dream life on less and pursue their passions. 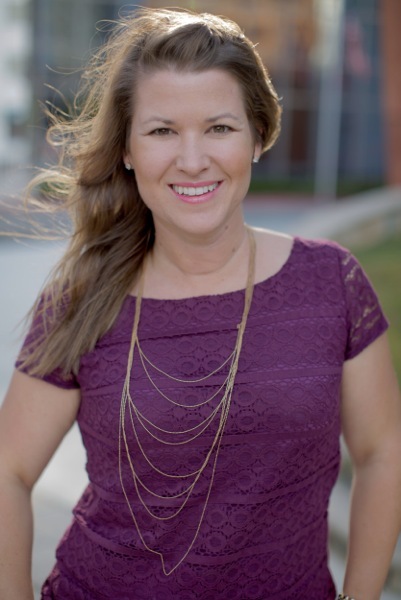 A published author and seminar speaker, she draws on her experiences as a writer, editor, university professor, performer, professional athlete, and pageant winner to help women realize their full potential in life. Listeners also can find her on the nationally syndicated “”Family Friendly Morning Show with Doug & Jaci Velasquez” and co-hosting Nashville’s “Discount Shopping Club LIVE!.” Sami is proud to call Nashville home with her husband of ten years, Rick, and their two children (a daughter & son) who are 19 months apart. Follow Sami and her fabulously frugal family adventures on her blog. This entry was posted in Blog by Hannah Zehring. Bookmark the permalink.